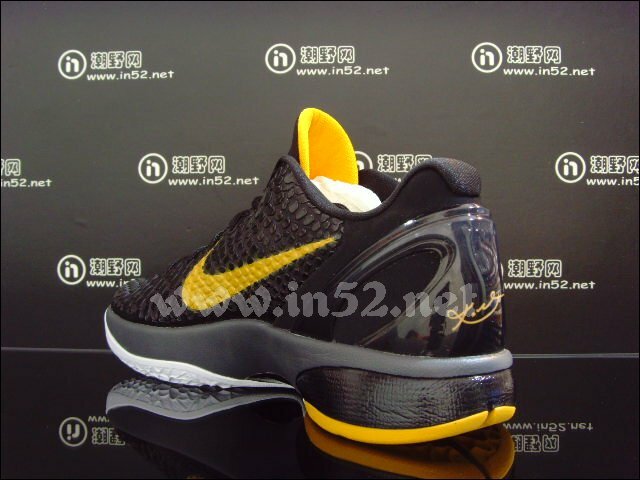 The latest photos of the upcoming sixth signature shoe for LA's Kobe Bryant. An all too familiar feeling, LeBron James is all the buzz right now, while Kobe Bryant is just lurking in the shadows waiting to do work. 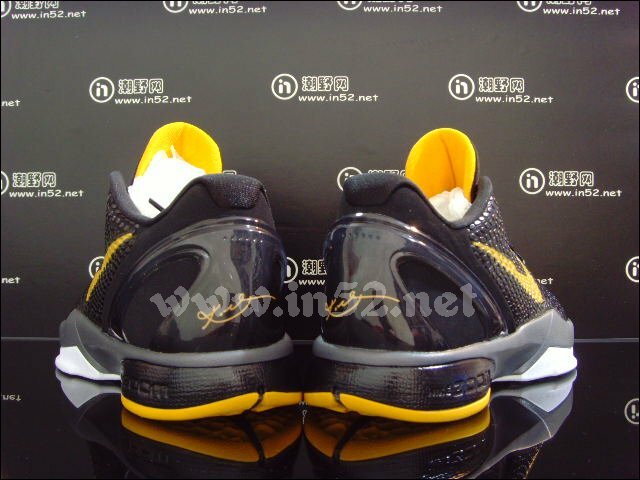 Similar situation with the signature shoes of these two gentleman. The “South Beach” LeBron 8 has consumed the minds of sneakerheads across the world for the last couple of weeks, and the Zoom Kobe VI is in the wings waiting to strike. 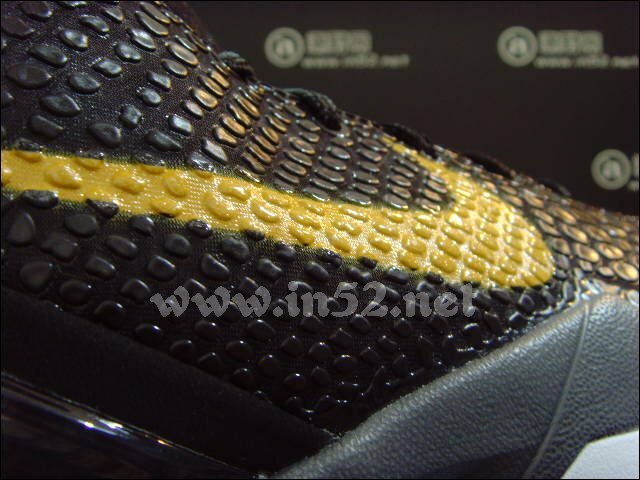 I mean that literally and figuratively, as the ZKVI features a unique snakeskin textured upper in reference to Kobe’s “Black Mamba” nickname. 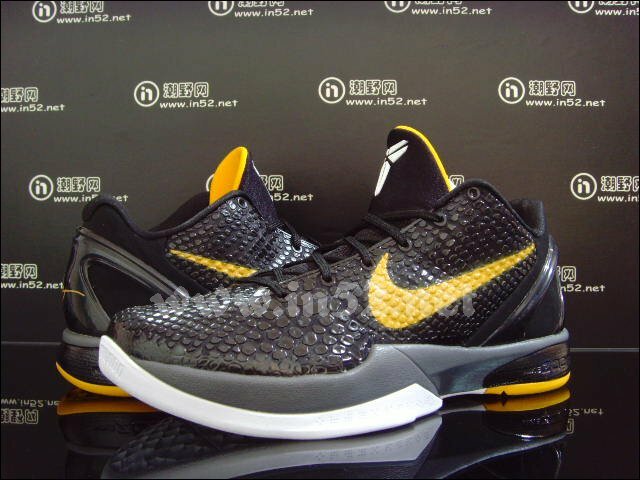 You know when Kobe is ready to unleash his shoe to the world, he’ll do something special. In the meantime, we’ll take a look at these new photos. 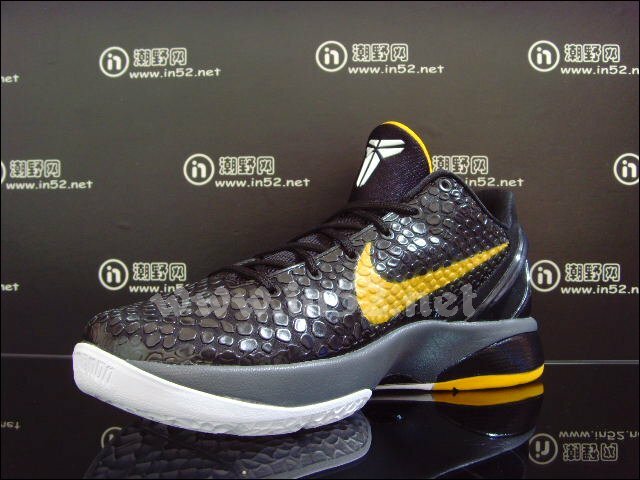 This pair features the aforementioned black snake-textured synthetic upper, complimented by large del sol Swoosh logos on the side panels. 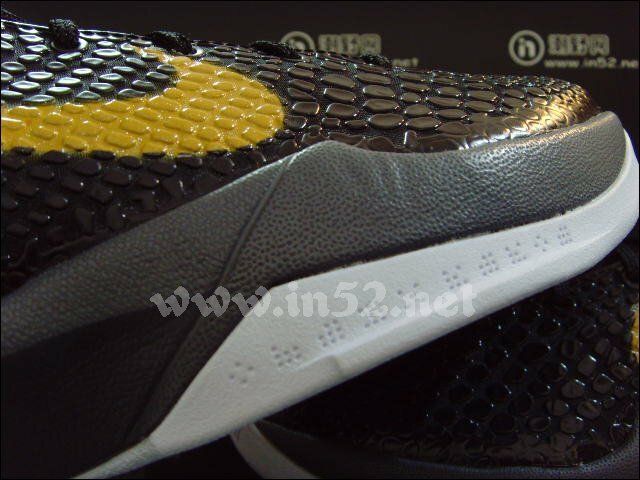 Del sol also does the job on the tongue padding and Kobe’s signature on the heel. 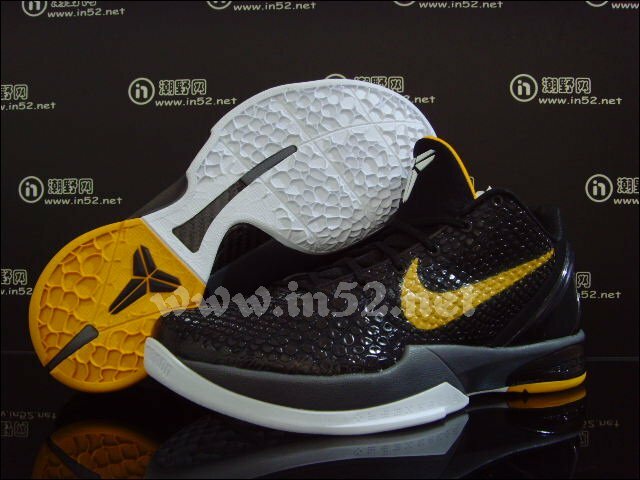 Dark grey works the external heel counter and midsole, while white joins in on Kobe’s shield logo on the tongue and the outsole. 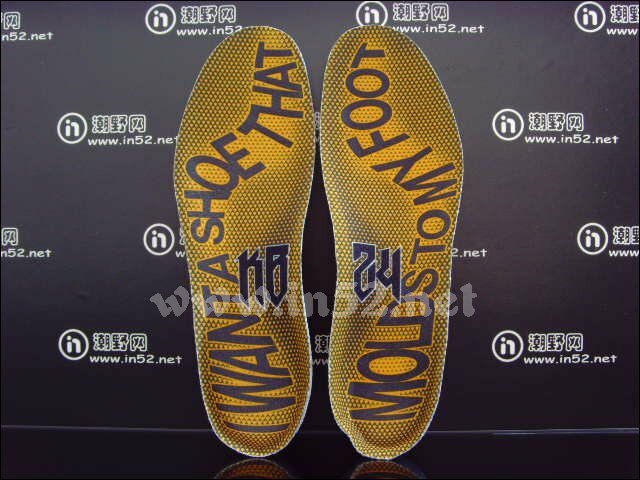 The insoles are printed with the quote, "I want a shoe that molds to my foot." 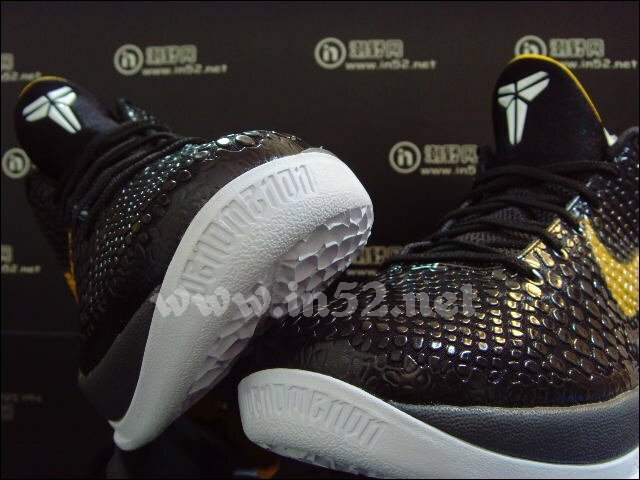 This pair, including the new special Kobe box, will be available at retailers on December 26th.